That’s the concept behind Connecticut-based startup JobStories. The company is the brainchild of serial solopreneur Chris Russell. The company is officially a product of RecTechMedia, but industry vets may know Russell as the man behind such services as AllCountyJobs, JobsInPods, Instajob, CareerCloud, and many others throughout the years. The man has become an expert at throwing spaghetti at a wall to see if something sticks. So why webinars for jobs? Why now? That’s Russell wearing the hat. 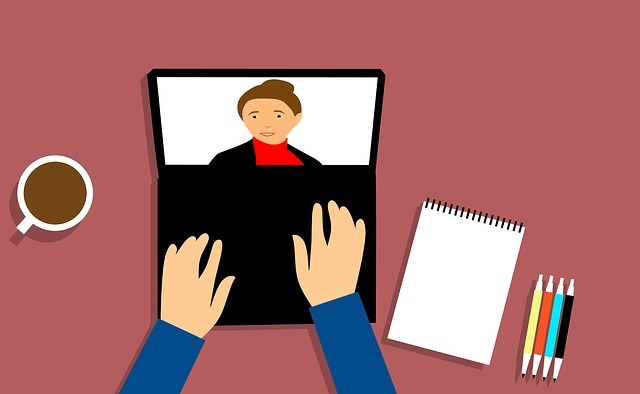 At least from this example, the webinars act more like Google Hangouts or a Facebook livestream than a traditional webinar with screen sharing and PowerPoint presentations. The production is also a departure from the well-manicured, two-minute branding videos popularized by solutions like SkillScout or the quickie content produced by solutions like VideoMyJob. “I felt there was a need to do long-form content beyond a typical two-minute job video,” said Russell. “JobStories allow for an in-depth discussion. It helps bring the employer career site to life by allowing us to talk freely about openings, benefits, how to apply and let their employees tell the story in their own words. Customers provide up to three representatives for JobStories to interview online about the company. Each webinar can last up to an hour, similarly to a traditional webinar. Candidates who attend can ask questions. A JobStories host moderates and guides the conversation. The live event is broadcast live on Facebook and YouTube. Employers can also invite their current candidate pipeline to watch if desired. JobStories promotes the events through Facebook and LinkedIn advertising. When it’s over, the employer receives the list of attendees and a copy of the video file for its own use. At least one early adopter is likely to become a loyal customer. Xavier Nelson, corporate recruiter with Convergent Outsourcing in Houston, said he had received 11 new applications for a call-center job, as well as one manager and one experienced collections-professional application along with one general application from its webinar through JobStories. Webinars are priced at $895 each. Events are powered by CrowdCast, and you can see JobStories’ page here. You can also see an archive of past webinars at JobStories.